BOOK NERDS, I NEED YOUR HELP. I just entered The Big Blog Exchange!!! 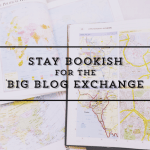 The Big Blog Exchange is an awesome program where you can swap not only blogs with another blogger, but also countries! It’s such a fantastic opportunity and I couldn’t pass it up because it is seriously a dream to be able to experience something like this. Why am I telling you all about this? I can’t achieve this goal alone! This is where you, my lovelies, come in. Please support your fellow bookworm and help me make this dream come true! All you simply need to do is vote for me by entering your email and confirming the vote email confirmation! You can do it until September 3rd! For me, all readers are travellers. As a reader myself, I’ve somehow traveled through time, traveled through different worlds, countries and places. I’ve learned to see the beauty of culture, of meeting people from various walks of life. 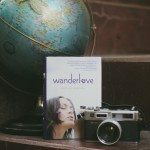 My blog, Stay Bookish, is about my many excursions through reading and how they’ve changed my life. I’ve journeyed, wandered, and lived a lot through books but I’m very much ready to experience for myself what fiction has taught and showed me. Given the chance, The Big Blog Exchange will be the key to my dream of trotting the globe and finally searching for my own story to tell. Pretty please, if you have some time, I hope you can help me win this. Think about all the fabulous posts I can share with you guys if I get to experience The Big Blog Exchange. And what if the blogger I get to swap with is from your country? I’ll get to meet some of you- how great would that be? Okay, I’m totally crossing all my fingers and toes for this. Voted. Good luck girl I’ll keep voting u deserve this! I voted for you, Hazel! Good luck, and I hope you win. It sounds really exciting! I’ll definitely vote for you Hazel. I hope you win! Wow, Hazel! This is such an amazing program. I voted for you and I’ll ask Meann and Riz to do it as well. Best of luck! I voted for you! :) I hope you get very far in the competition. I’m so gonna vote till September. It’s the least I can do with all the books I learned from you, with all my emails. God bless! I recently found out that when you cross your fingers and toes, it can bring out the child magic in you. I will be voting as well! All the best of luck, Hazel!